Transfers from the state budget remained almost on the level of 2017. At a meeting on Wednesday, the government approved the budget of the Pension Fund of Ukraine for 2018. The budget's revenues are set at 353.6bn hryvnyas, expenditures at 345.8bn hryvnyas, according to the government web portal. Appropriations from the state budget are expected to reach 139.3bn hryvnyas. The 2017 budget of the Pension Fund was initially approved with revenues of 284bn hryvnyas (including 141.3bn hryvnyas in appropriations from the state budget) and expenditures of 283.2bn hryvnyas. 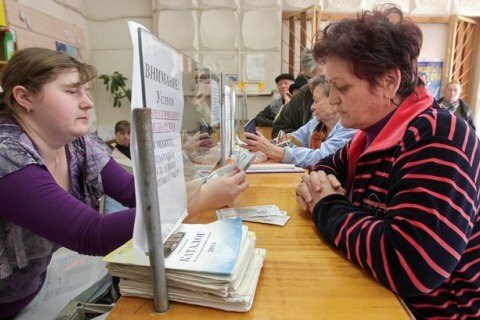 However, on 1 December, the government increased the Pension Fund budget revenues to 296.2bn hryvnyas, expenditures to 295.4bn hryvnyas, and decreased appropriations from the state budget to 133.6bn hryvnyas. Pension reform adopted in the autumn of 2017 aims to cut transfers from the state budget to pay pensions.